Control, Automate and Monitor your Garage Door(s). Forget to close your garage door? Tired of calling the neighbor to check? This kit will give you the ability to see if your garage door is open or closed. It will also give you the ability to open or close it from anywhere. Additionally you can automate your garage door to close automatically when you leave, so you never have to think about it again. With this kit you can control your exterior lighting and get notifications of any outdoor movement triggered by that light. You can even set up scenes to trigger other devices if one of these exterior motion flood lights are tripped. 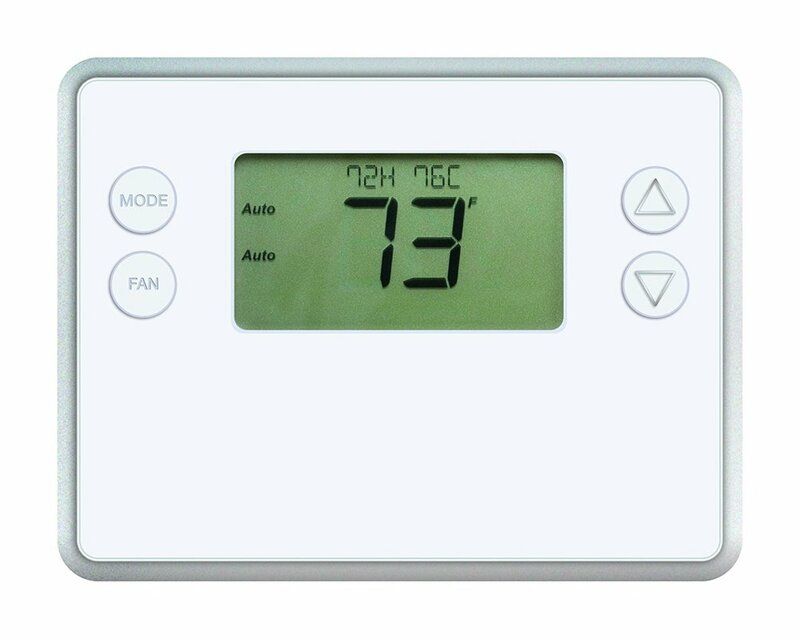 Control, Automate and Monitor your homes thermostats and temperature. Ever get that 400$ utility bill because you left the heater on in the middle of winter, or the AC on in the summer? Turn it off from anywhere using your smartphone or tablet. Check the temperature in your home from anywhere. Get emails when the temperature goes above or below a set point. This can prevent your plumbing from freezing and bursting. Have your thermostat automatically warm your home when the temperature gets too low and keep your plants from dying. Have your thermostat turn off the heater or AC after your renters leave. Control, Automate and Monitor your doors locks. Do you want to get a notification when your kids get home? Do you want to have a key free experience for you seasonal renters? Do you want to let workers in your home when you are at work? ​Do you want to know when the cleaning crew has arrived? More importantly, when they left? Do you want to have the ability to change PIN codes instantly? Are you a landlord wanting more control of your homes locks and therrmostats? Seasonal renting can be painful. With going to the rental to turn on the heater before your guests are to arrive. Then back to give them the keys. Then back to turn off things when they leave. ​This kit makes it so much easier and at the same time, will save you lots of money. ​All with no monthly fees.